The Ford GT40 has had a long and influential life both as a sports car and endurance racer. Conceived with the primary mission to beat Ferrari at legendary events like the Le Mans 24 Hours race, the GT40 was born to win. Named the GT40 for its diminutive height – just 40 inches – the Ford GT fulfilled its quest to win, taking glory at many international races over its long history. This included four consecutive wins at Le Mans (1966-69), becoming the first car in Le Mans history to win on the same chassis more than once and the first overall victory at Le Mans for an American manufacturer. The car pictured above, a 1965 Mk1 Ford GT40 was raced at Le Mans and Spa amongst others with Innes Ireland at the helm. 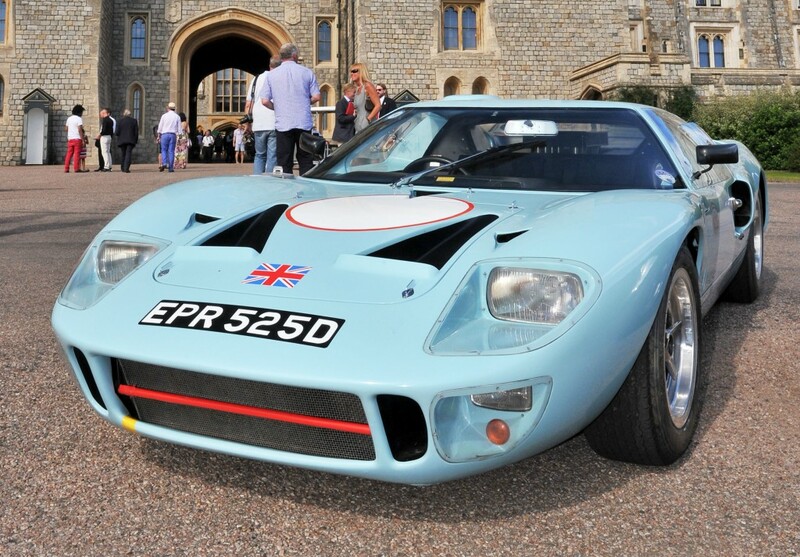 The original Mk1 Ford GT40 remains one of the most iconic and collectable cars in the market. Today the legacy of this iconic car still lives on and Ford are launching their latest model GT in 2016. With a twin-turbo V6 engine and seven-speed dual clutch it’s a much more modern affair, but the design is no less striking than the original.